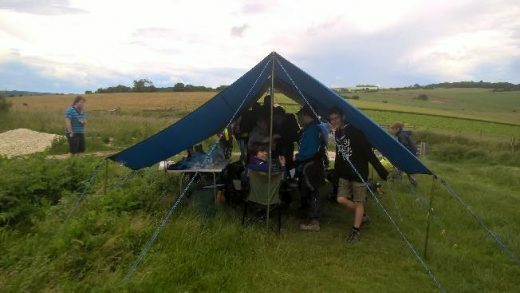 Mid Sussex District Scouts is the umbrella organisation responsible for 15 Scout Groups, 5 Explorer Units, a Scout Network and a Scout Active Support Unit. The District area is bounded by Lindfield in the North, Scaynes Hill in the East, Hassocks in the South, Hurstpierpoint in the West with Haywards Heath and Burgess Hill in the middle. For more information please check out the rest of the site and also the Facebook links. A note for all leaders: training dates are now available in the District Diary including links to make a course booking. Our District Headquarters, next to Clair Hall in Perrymount Road, Haywards Heath, RH16 4DN is available to hire for children's parties as well as seminars and meetings when we are not using it. The main hall room is around 130 square metres in size and overlooks Clair Park to the rear along with a patio and conservatory to the side. Please click on the hall hire page for more information.